Author Mary Young: Retired Kindergarten Teacher self-publishes 3 books. My author interviews will consist of 6 questions about them, their book and their experience. You will get the good, the bad and the ugly. It is interesting to read the varying responses from each unique author. Mary Young is a retired Kindergarten and Special Education Teacher. She enjoys volunteering at elementary schools where she can share her stories and encourage children to become writers. She lives with her musician husband Rusty Young of the band POCO and their dog named Zog. Mary finds much of the inspiration for her stories through nature and the surroundings of their log cabin which overlooks a river deep within the Mark Twain National Forest in rural Missouri. Mary: I chose to publish my children’s books mainly because it’s fun! Also, it opens doors for my team of illustrators who share in the profit from book sales. I have another ten stories still waiting to be illustrated and make their way from my computer to printed books and then into the hands of children. Actually, as a retired Kindergarten and Special Education Teacher, my style seems to lend itself to books that entertain the adult reader as well as the children listening to the story. When a child says, “Read it again!”. I think it’s important that the reader enjoys the story too. Mary: I recently launched my own self-publishing company this past spring 2013, so to date I only have two books in print. My first title is ‘DREW DROP’ about a water droplet’s adventures through the water cycle. I have since written a sequel titled ‘SARA SNOWFLAKE’. 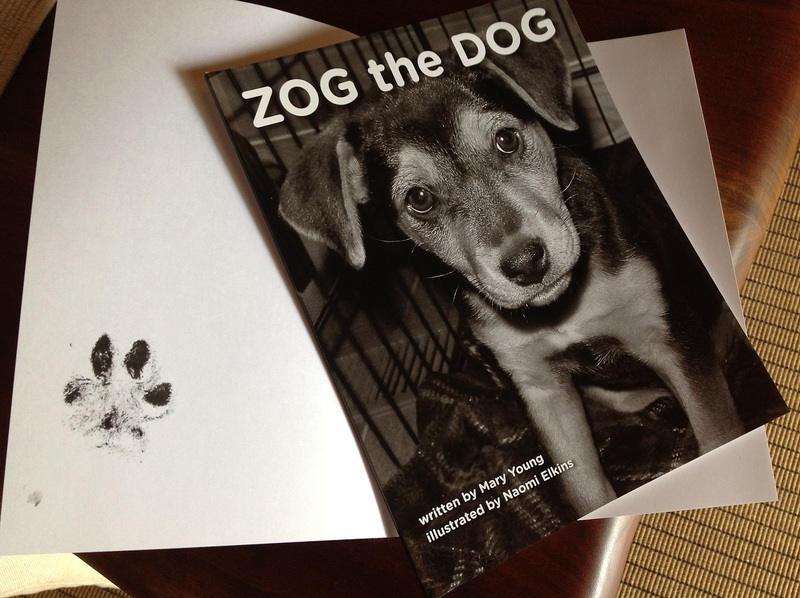 The other book in print is titled ‘ZOG THE DOG’ – it’s the rescue story of how we found our dog. 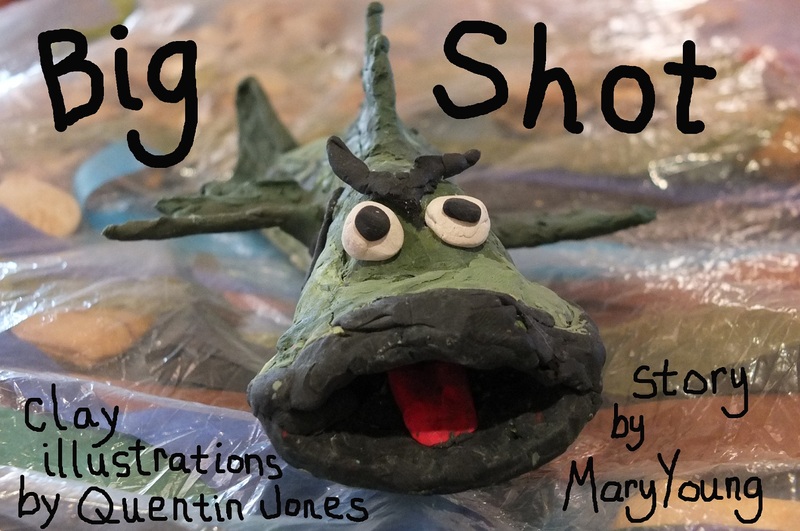 My third children’s book which is ready for the printer, is titled ‘BIG SHOT’ it’s a bully story, but I used fish instead of kids. Mary: Currently, I am marketing my books through my own website: www.puckyhuddlebooks.com and my books are also available on my husband’s band website: www.poconut.org . I’m in charge of merchandising for my husband’s band ‘POCO’ and many of his fans are friends and grandparents, so they are my biggest customers so far! In addition, I am hoping to have good results by scheduling readings through school librarians where I will visit schools and donate a book to their library. The students bring home a special bookmark which has the ordering information. Mary: Before I made the decision to begin my own publishing company, I researched dozens of self-publishing websites. I purchased and read several ‘how to’ books including ‘The Fine Print of Self-Publishing’ by Mark Levine. What I found was — there are many options right at our fingertips. With the internet and social networking, authors like myself can learn to pick up these tools and build our own success with the books we write. Mary: Definitely, the most challenging issue for me has been preparing files to be PDF ready for printing. The good news is; with the right programs and a little practice, I can learn how to do this myself. However, if formatting files would be a deterrent for aspiring authors, it’s good to know that nearly all printing companies including Mirabooksmart offer this service for a fee. I am curious if customers want a child’s book signed? Does the child care? Thank you Jill for posting, ‘Big Shot’ is being printed right now, we can’t wait to see it! My grandchildren enjoyed Drew Drop. They especially like that Mary personalized and signed the books. I’ve read Mary’s books, to my friends’ kids, and I love them, as well. Zog The Dog is such a fun read, and I’m looking forward to getting the newest book, Big Shot. Great job, Mary Young, keep ’em comin’ !!! I like how Mary can take her experience as a teacher to both entertain and instruct with her books. Great job! If I were still teaching preschool, Mary’s books would be welcome additions to my classroom. Instead, I have tucked them inside my gramma’s hope chest, and I look forward to reading them to my future grandchildren. I have read the story of Big Shot, and it’s really good. I can’t wait to get my copy so I can see the illustrations. Those clay figures should really make the story come to life! Mary’s books are a joy for their young audience as well as the adults who read them. The illustrations are wonderful and the simple but meaningful messages of each book are important for everyone. You can’t go wrong in adding any and all of Mary’s books to your home library (and your child’s book collection)! Enjoyed the interview with Mary. I have her first two books, which are perfect for young readers. They’re well written and charmingly illustrated, all the while teaching kids some of life’s lessons while being entertaining. Excellent gifts for children or their parents, grandparents, aunts and uncles. I enjoy reading Mary’s books as much as the children enjoy listening to them. Lovely stories from a lovely lady! 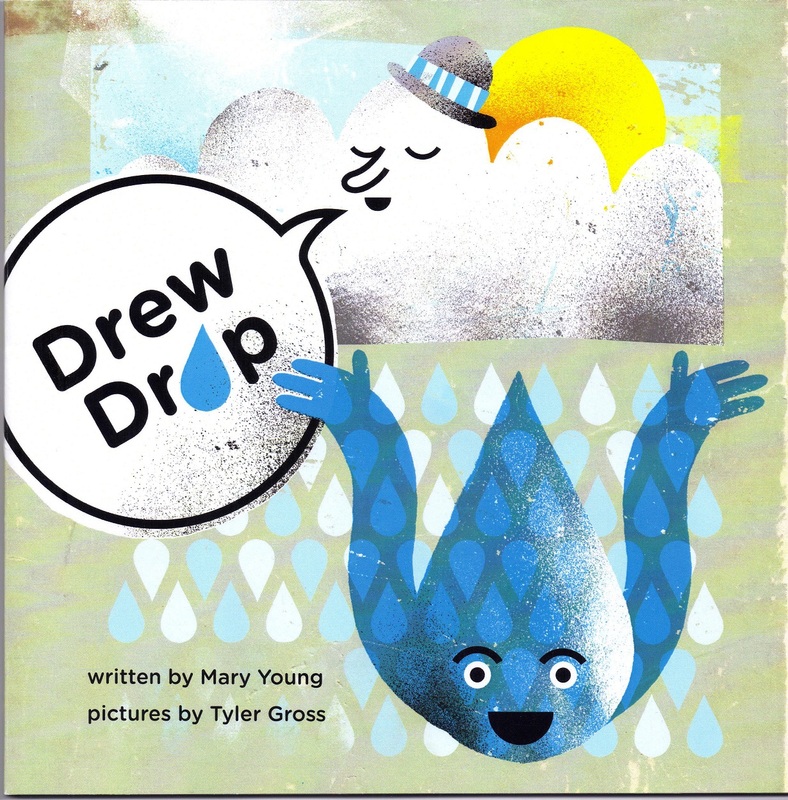 My grandchildren loved ‘Drew Drop.’ This charming story makes science (the water cycle) fun and easy to understand. I have been discussing ‘bullying’ with my grandchildren and I think ‘Big Shot’ will make the perfect aid in addressing this important topic. The illustrations look adorable! Mary is a sensitive and creative author with a bounty of healthy life’s experiences to be shared with children and adults alike. I’ve ordered all three books! Thank you Friends for reading Jill’s interview with me, and for taking the time to write such nice comments! I have the first two books and will be sharing them with my new Grandson when he visits us next month. I read them first and find them to be wonderful. Mary has a real talent for relating to children. I look forward to her next books too. Mary has many more real life stories to share with children as well as adults. I am so excited that she has decided to bring these stories to life for the little ones in our lives. The illustrations are natural and creatively done. Then there is Zog! Everyone needs the book Zog the Dog! He is special. No illustrations needed for him….he is the camera hound! Best wishes Mary with your new venture. I have read Zog the Dog and it is absolutely wonderful. Such a heartwarming story. I highly recommend it to everyone. Mary has a very special talent obviously, and her years teaching kids have given her a unique perspective!!! Such wonderful tools for teaching our children and grandchildren valuable lessons in life!!! Keep up the great work! Mary Young is an excellent Author of Children’s Books!! Mary is a very Creative Author who is very sensitive to the Children’s needs as she writes her wonderful stories. She brings such joy to people and animals!! Mary has done a wonderful job with her childrens books. I look forward to sharing more of them. Highly recommended! 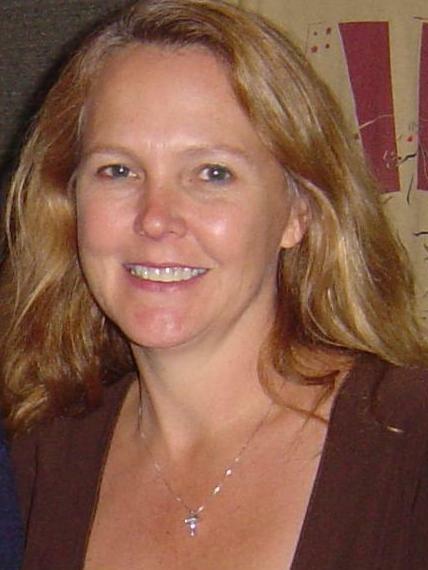 Mary Young has a unique ability to write her stories so they captivate her ‘youthful’ audience. She has a style that can take even adults back to their own days of innocence. Love the Zog the Dog book. The story of the rescued puppies is wonderful and the illustrations make the story come to life. Great collaboration between author and illustrator. Can’t wait to read it to my granddaughter who met Zog “in person” and was enamored with him. Mary’s vitality is not only seen in her life, but is also seen in her writings, and her books. What parent wouldn’t want their children, and their children’s children, not to read her books? Good luck with all your projects in the future Mary. Mary Young is a fabulous children’s book writer. As she states in the interview, her books are stimulating to both reader and listener alike and her books are ones you want to read to your children over and over again. The illustrators she pairs with bring her words to life! My daughter is a nursery school teacher and she reads Mary Young’s books in her classroom to the joy and happiness of her eager students. Both Jada Lynne and I are waiting with great anticipation to the release of “Big Shot”. Mary also has great advice for other potential self-publishers particularly when she advises authors to write about what they know and love! Clearly Mary writes about things she feels strongly about, giving positive messages to her audience through her wonderful books! I am so excited for Mary and her success with her Children’s Books! Every child (and adult) can connect with her story of Zog the Dog and I think the children will very much like the “pawtograph” of Zog himself. I have had a sneak peak of her new book Big Shot and look forward to seeing the self-published version. The eloquent writing and wonderful illustrations will make this book as enjoyable as her first two. I now own all three of Mary’s books, Zog The Dog, Drew Drop and Big Shot. The latest, Big Shot, far exceeds my expectations, Can’t wait for my young (and not so young) holiday visitors. Great job, Mary Young, keep ’em coming.! A great, caring teacher who has created a legacy with her imagination. I just came across this blog on line, boy do i have the best friends ever! Thank you friends for your kind words about my books. BTW, i have 7 in print now!